Jose Larco 1232 is coming soon. Combining impressive seaside views with creative interior design, our coworking space in Miraflores offers a true launchpad to success. 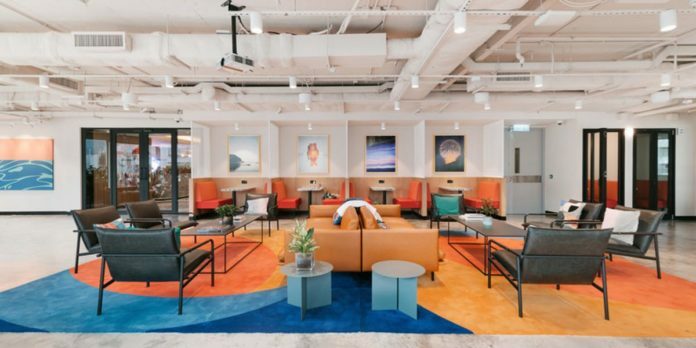 The entire 13-story building is dedicated to WeWork, featuring bright and airy conference rooms, sleek private offices, and shared lounges filled with custom art. Commuting is simple with the buses at Armendariz Cuadra 2 and Larcomar Station nearby. Surrounded by upscale hotels, shops, and restaurants, this location is ideal for impressing clients from out-of-town. After work, tour an art exhibition at Parque Kennedy or enjoy the sea breezes at Parque Domodossola. Elevate your workday at Avenida Jose Larco 1232, and schedule a visit today.